The 10 Best Karaoke Bars in Nebraska! 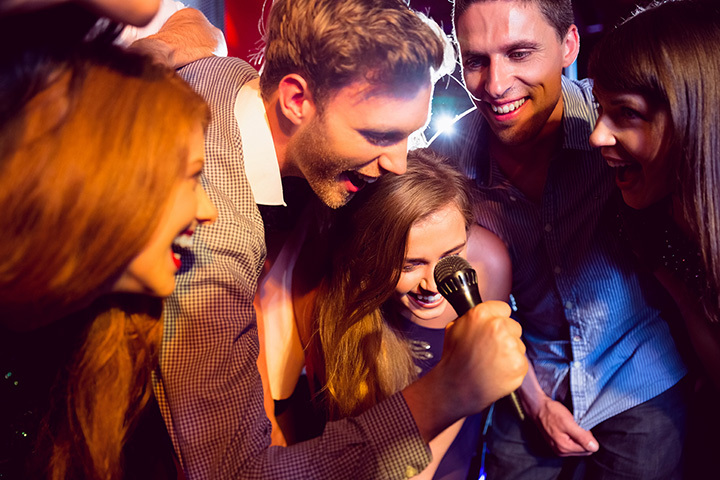 Are you looking for the perfect karaoke bar for a fun night of drinks and singing with your friends? Whether it’s for a birthday party, after-work hangout, or just a fun weekend night, you will surely have a night of laughs and fun by heading out to one of these great spots. Here are the 10 best karaoke bars in Nebraska! The 12th Street Pub in Lincoln serves some of the best drinks in town. They have tasty food and superior service, which makes it a must-visit for a fun karaoke night. Full House is a great neighborhood bar that is known for their friendly patrons and great karaoke nights! Here you will find a classic bar atmosphere where everyone is welcome. Shooter’s Bar in Peru is the favorite place among locals for their big karaoke nights. The great ambience will make sure you have a blast anytime you visit and make tons of memories. The Beacon Lounge in Lincoln is another great place for a date night or place to spend time with friends. Here you can sing karaoke and the reasonable drink prices make The Beacon Lounge the perfect place to have a fun night. G’s Pub is one of the best karaoke bars in all of Omaha. Sing the night away as you enjoy specialty drinks at this must-visit place. The No Where bar is a fun dive bar with a small dance floor, pool tables, and karaoke nights on the weekends. Everything you need for a great night of fun with your friends. Be sure to check them out one of their fun event nights as well! The Brickhouse Lounge in Hastings is a great new bar that’s making a name for themselves with great service and karaoke nights that everyone enjoys. The great people and cheap drinks will have you wanting to come back every week. Come on down to Beer City in Omaha for a great little bar with awesome drinks and Friday night karaoke. Free peanuts and popcorn every night of the week make this a great place to have a drink with friends. Rosie’s Sports bar is a favorite among locals for their great service and awesome karaoke nights. Great specials every night of the week and delicious food make Rosie’s a perfect place to let loose. The Crescent Moon bar is a top-notch bar that serves delicious food and has great karaoke nights. Known for serving up one of the best Reuben sandwiches in Omaha, try this spot for a night of food and fun.